You've got QUESTIONS! We've got ANSWERS! 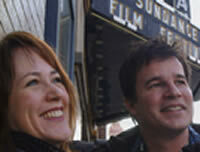 Take advantage of our 40 years combined experience in the documentary industry! Let us guide you through an entire film, or just a tough spot in your process. Our award-winning background, attention to detail and supportive guidance will get you back on the fast-track.